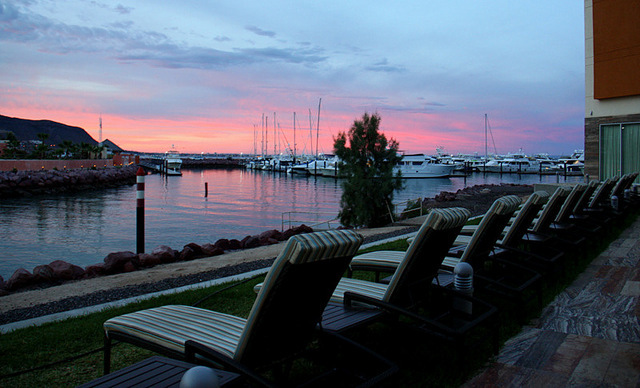 The next time you get tired of winter, plan a drive, or book a flight to La Paz, Baja California Sur, Mexico. 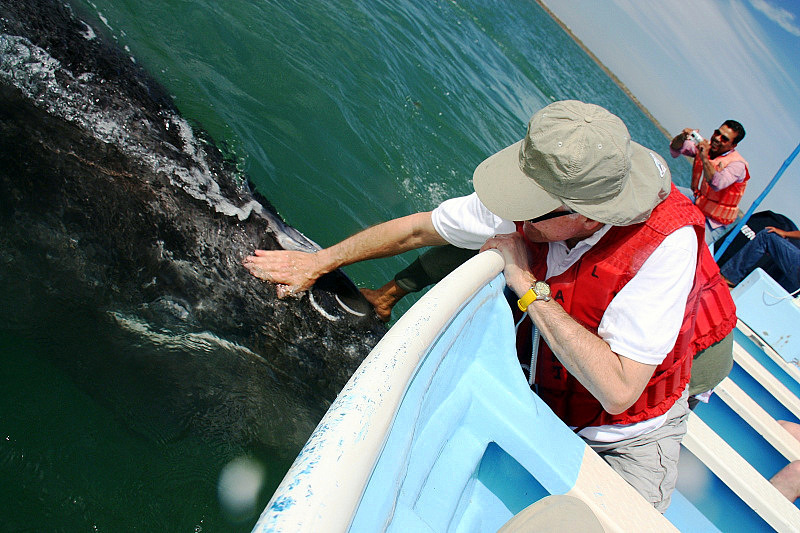 During the months of January through April, the weather in La Paz is absolutely perfect, and it is a wonderful time to take the opportunity to get up close and personal with gray whales and their calves. 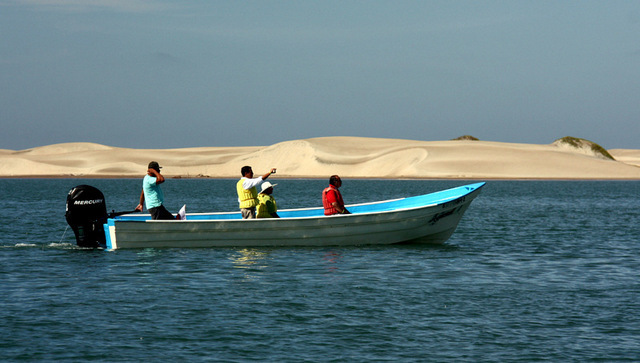 La Paz has its own airport, but the bigger Cabo San Lucas airport to the south has more flights and services. 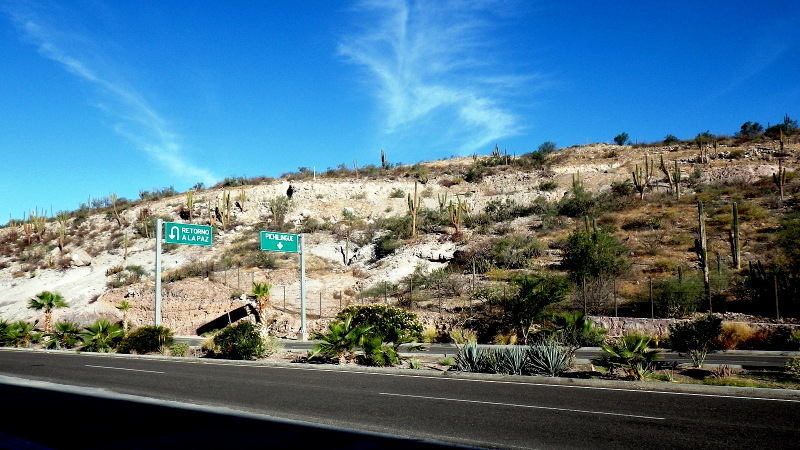 When we arrived in Cabo, we took a taxi for the almost three-hour scenic ride on Mexico Route 19 from Cabo to La Paz – the road was good and we zipped right along. 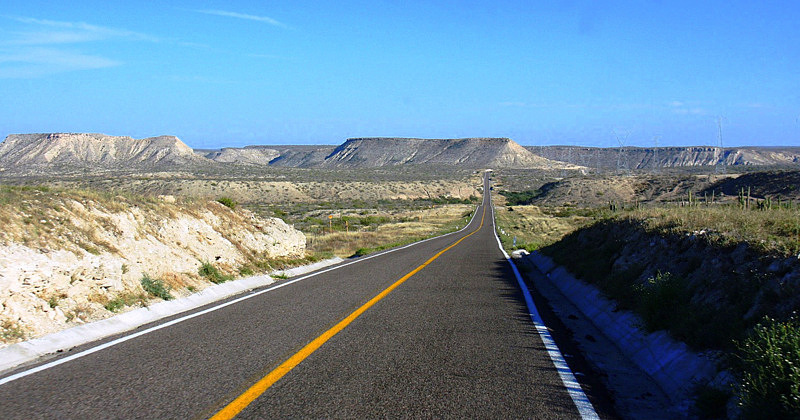 Route 19 runs parallel to the pristine sandy beaches of the Pacific for about 50 miles north of Cabo and before cutting east across the peninsula to La Paz. We stopped only once for a bite to eat in the small town of Todos Santos on the Pacific side of the peninsula. We ate at La Coronela restaurant in the Hotel California. We dined in the hotel’s comfortable courtyard, the food was excellent – and the beer was ice cold. 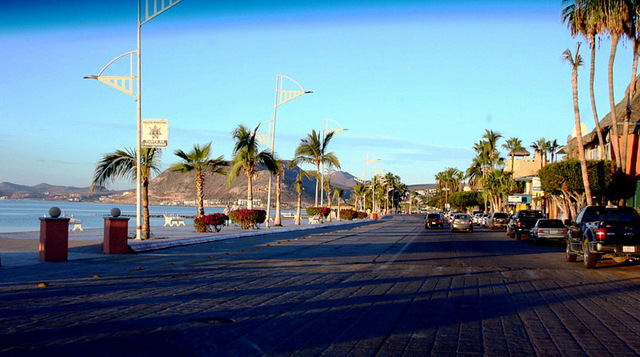 La Paz is a city on the Sea of Cortez with some 200,000 residents, but much of the tourist activity is near the water where La Paz’s flavor takes on the vibe of a prosperous seaside village. Traffic wasn’t bad coming into town along the shore and picturesque La Paz Malecón, so we reached our hotel in short order. The Hyatt Place is a new hotel in the exclusive Costa Baja area of La Paz. It’s right in front of a marina that is home to magnificent yachts from around the world. The hotel rooms are spacious and modern, and each booking comes with a tasty hot breakfast with eggs your way, pancakes, fruit, juice, coffee, etc. It was breakfast at sunrise and into a van for the 170-mile drive across the Peninsula, to the Pacific side and Puerto Lopez Mateo. The journey took about 3.5 hours, with a brief stop for a delicious lunch (we had fresh fish) in the small town of Constitucion. 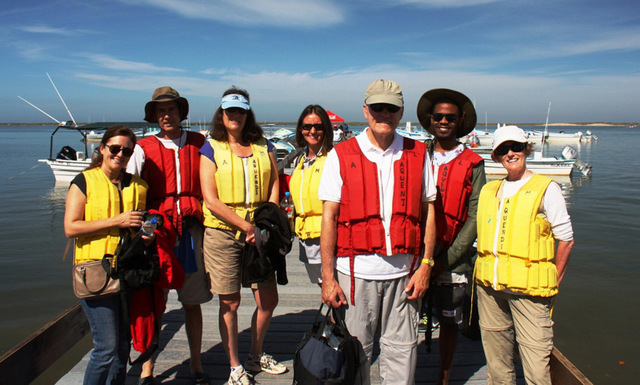 When we arrived at the whale watching dock in Puerto Lopez Mateo, we were anxious to don our life vests, board our boat, and be introduced to the mighty gray whales that were waiting for us in the inlet. 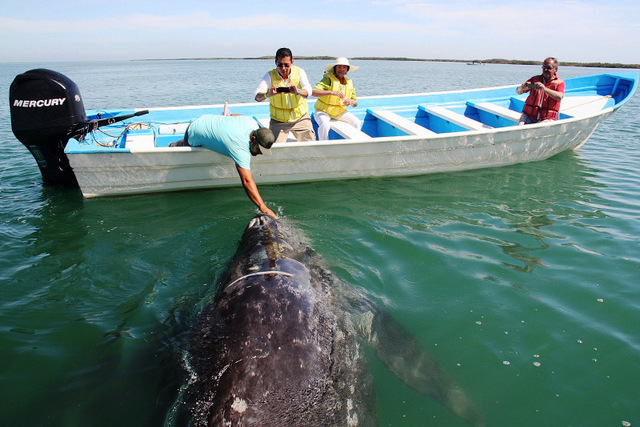 Every year, traveling at speeds of about 5 miles per hour, 10 to 15 thousand gray whales make their way from the freezing waters of Alaska’s Bering Sea along the Pacific Coast of America to the warm waters of Mexico’s Baja California Peninsula. It is here that the female grays bear their calves. 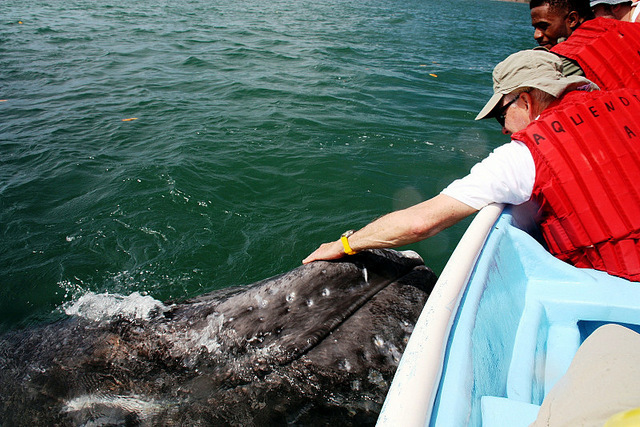 There are only three places in the world where gray whales give birth, and all of them are in Baja, Mexico. After birthing, the mothers and their offspring stay in the safety of the lagoons for several weeks in order for the mothers to teach their newborns to feed, swim, and socialize with other whales. 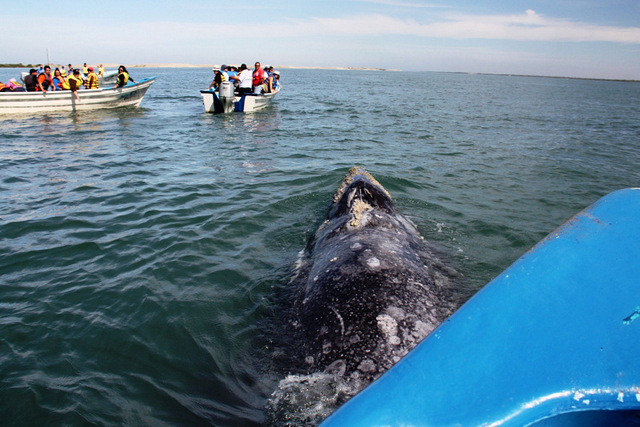 The male grays leave Baja first, and by April the majority of the whales are on their 5,000+ mile trek back to Alaska. 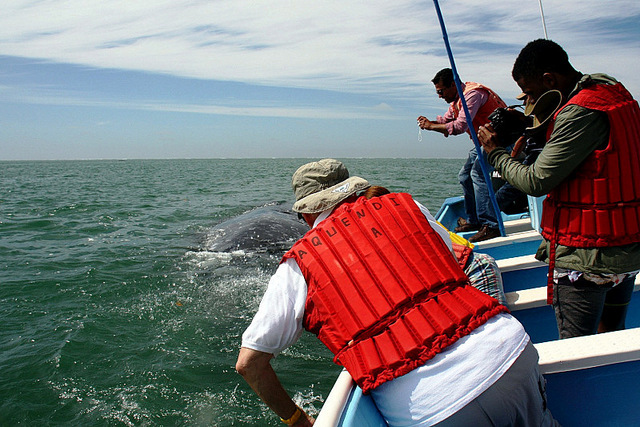 State and federal licenses are necessary to go whale watching in Baja. Your tour company will instruct you on how to obtain them. 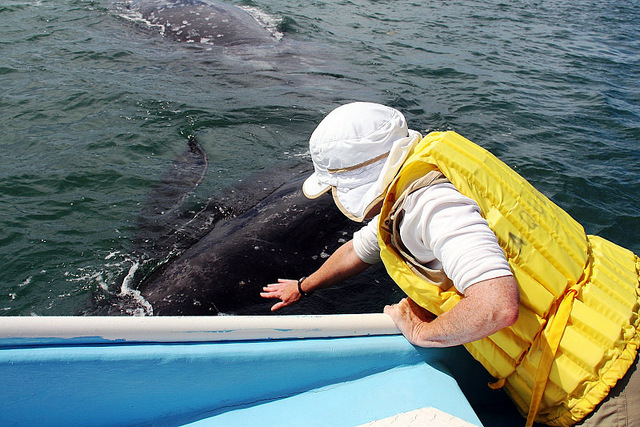 Only guides who have been tested and certified in the nuances of protecting the whales can lead a tour that intends to get close enough to touch the gentle giants. Our tour boat, like all the others in the fleet, had to pass a passenger safety inspection. There is a limit to the number of boats that can congregate in a given area, which assures that the whales are not threatened, and have ample room to maneuver. 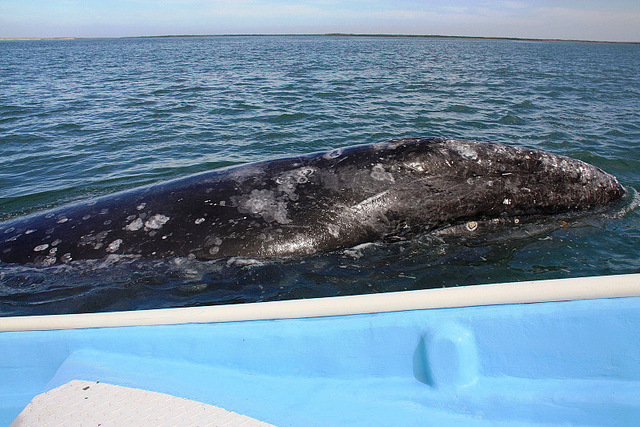 The whale encounter boats are called “pangas,” and are 22-feet long. 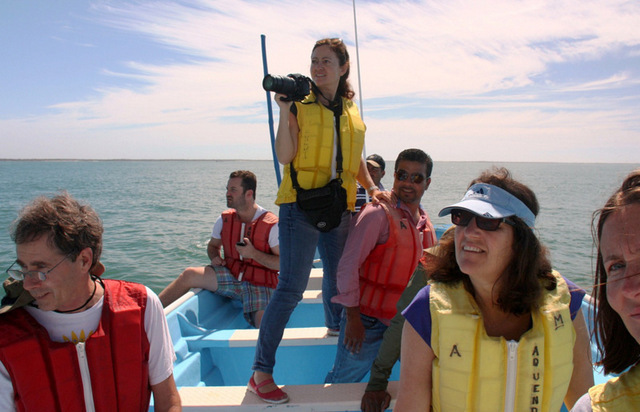 They are specifically designed for the purpose of whale watching. 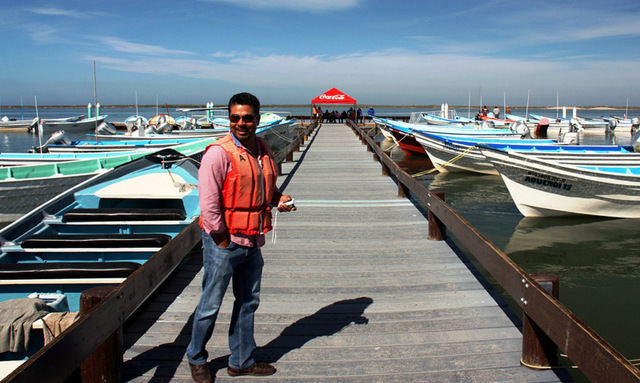 Jose, from the Cortez Club, led our tour and helped us into an uber-clean panga that easily and comfortably seated the eight people in our group. The quiet outboard motor moved us briskly along the placid water of the lagoon as we searched for whales. The weather was a pleasant and dry 78 degrees, and when we stopped to visit with some grays, there was just a slight chop on the water. 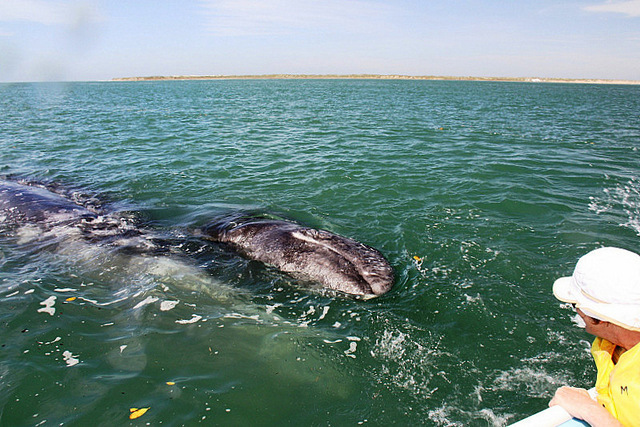 Jose advised that by slapping the water on the side of the boat we would attract whales, and sure enough it took just minutes of splashing before a 50 foot long, 70,000 pound gray whale, accompanied by her calf, decided to play. 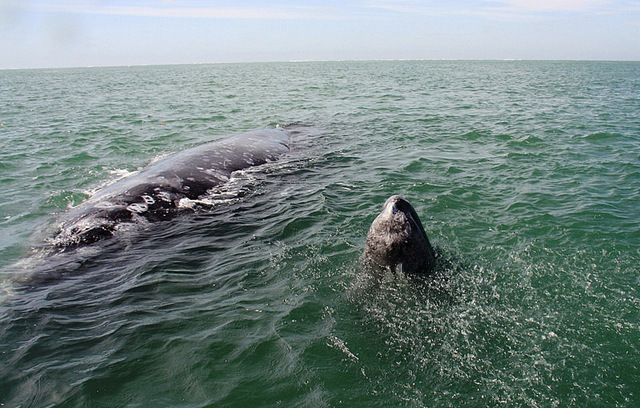 The photo above shows a baby whale approaching a neighboring panga. At first, it was a bit disconcerting to watch this shallowly submerged creature, the size of a school bus, bearing down on the center of what felt like our quickly shrinking panga. However, in every case, the breathing bus slowed to a glide as it neared the boat. At that point, the whales cruised closely along-side, and we quickly comprehended they were encouraging a friendly pat on the head. As they approach, the whales might do a shallow dive under the boat only to appear on the other side spouting plumes of water high into the air – what fun for them! Be sure to keep your camera lens protected for the duration of these momentary monsoons. Sometimes, mom will hang back and watch her calf interact with the excited guests, but most of the time she is right there in the thick of the action – getting her own strokes. 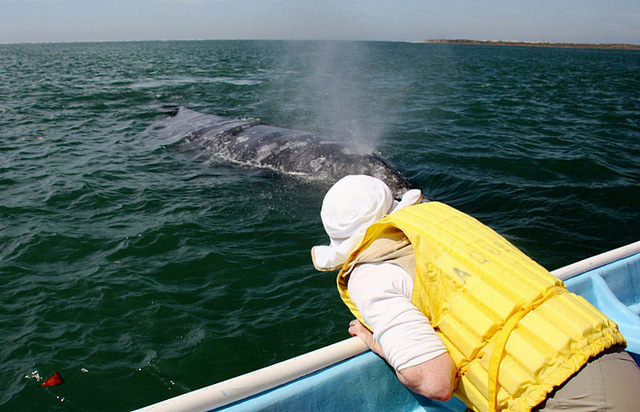 During these encounters, there is no doubt in any passengers mind that these are highly intelligent mammals that fully comprehend their enormous power and prowess. 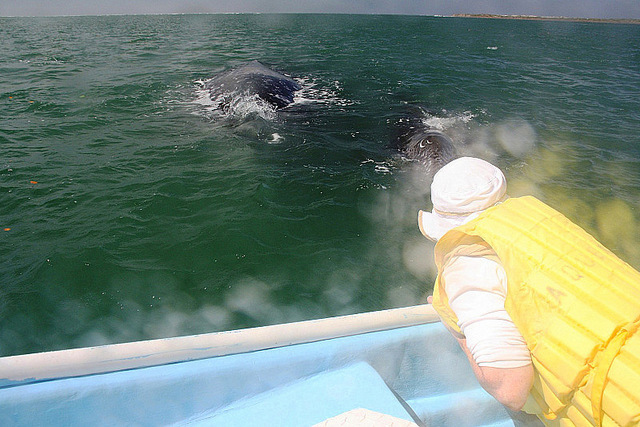 It is all very exhilarating, and any concerns of personal safety are quickly dispelled as everyone lunges to get in a back slap, head pat, or a chin tickle on the gigantic mama whale or her frolicking 20-foot calf. This is fun of the first order, time passes quickly, and it never gets boring. Some people laugh, some scream like they are on a roller coaster, and some cry with joy over the spiritual connection they feel with these magnificent animals. Eventually, and probably when mom thinks that junior has had enough attention, she heads off towards open water. 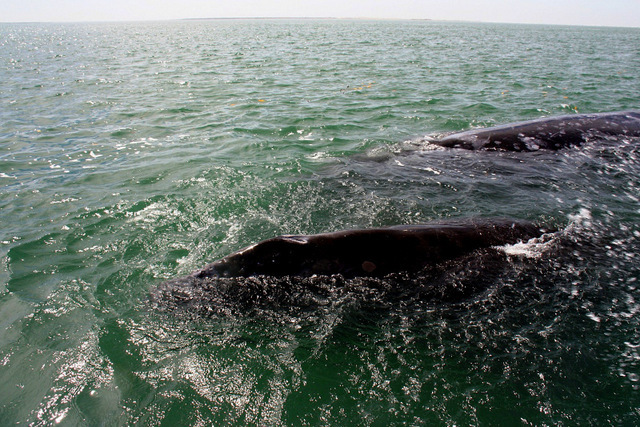 Several whales gave us fluke or tail waves as they departed – maybe it was coincidental, but we choose not to think so. It is safe to predict, that all the thousands of people that experience this annual celebration of life and nature become life-long advocates for the complete banning of whale hunting. These gentle denizens of the deep, who are so much more powerful than we mere mortals, deserve our ultimate respect and protection. We heartily recommend this adventure for anyone yearning to fully experience the beauty and grandeur of nature – on a very large scale. 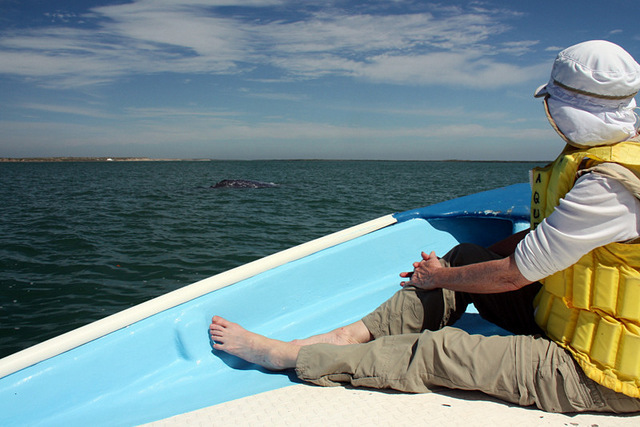 Be sure to view our friend Richard’s film clip about our whale encounters. Click *here*. 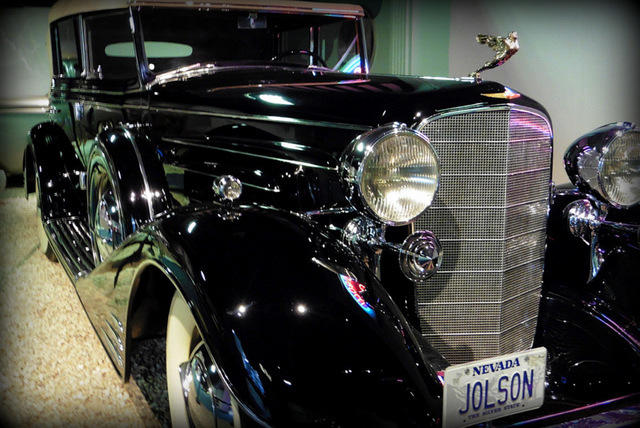 We found an American treasure in the National Automobile Museum in Reno, Nevada. 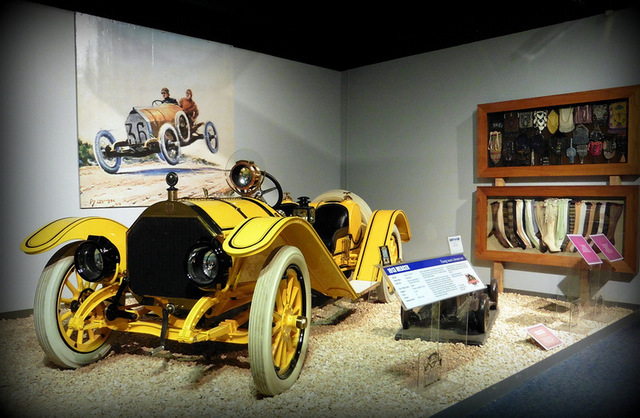 Hidden in plain view among hundreds of classic cars is the 1907 Thomas Flyer, the winner of the first and only Around the World Auto Race. 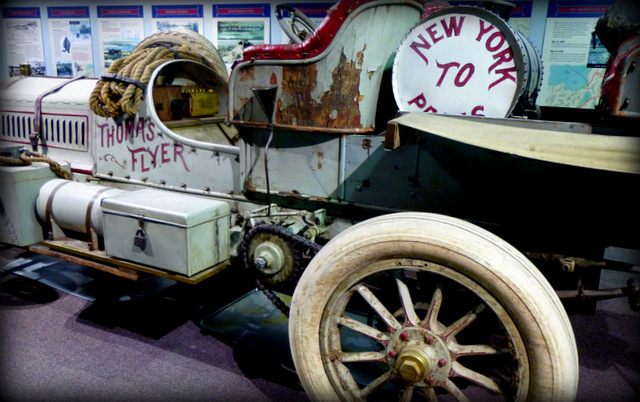 After decades of neglect, in 1964 the dilapidated Thomas Flyer was painstakingly restored to her original condition by forty car craftsmen in the Harrah’s Classic Car Museum workshop. The project took six weeks and the end result was the Flyer, exactly as she looked, when she crossed the finish line in Paris on a hot summer day in July, 1908. 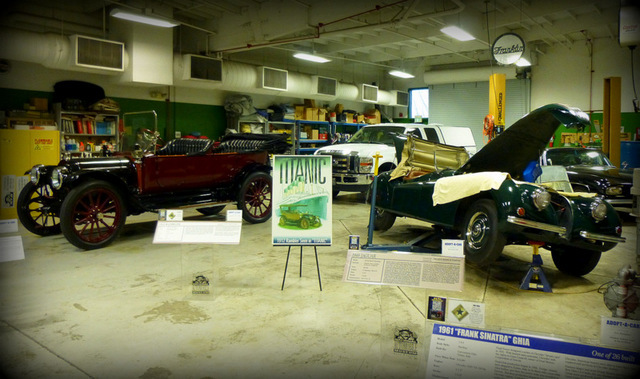 Today, this matriarch of motor cars sits silently in the National Automobile Museum. However, if you stand before her and close your eyes – you can imagine the roar of the 350,000 people cheering her as she crossed the finish line in Paris. Listen quietly for the exhilaration of the crowd at the huge Manhattan ticker-tape parade held for her and her drivers on their victorious return to New York City. Feel the vibe of a quieter time in the company of President Teddy Roosevelt at his summer White House in Sagamore Hill, Long Island – she was there for all of them – over a century ago. Interested in boosting circulation in the early part of the 20th century, the New York Times and the French Le Matin newspapers conceived and sponsored an arduous automobile race that would start in Times Square in New York City, and end in the City of Light, Paris, France – a total distance of 22,000 miles across three continents. 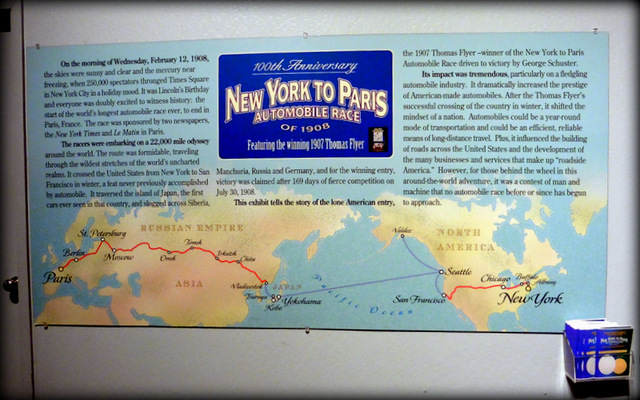 Four countries rose to the challenge, and on February 12, 1908, six automobiles representing France (3), Italy (1), Germany (1) and the United States (1) headed west on a route to Chicago, San Francisco, Valdez, Seattle, Yokohama, Kobe, Vladivostok, Omsk, Moscow, St. Petersburg, Berlin, and on to Paris. The torturous race was won in five-months and 19 days on July 30, 1908 by the United States entry. The race was started in winter so the competitors could drive across the frozen Bering Straits, but the weather was so bad in Alaska that the course was re-routed back to Seattle, where the cars were shipped across the Pacific to Japan and on to the continent of Asia. 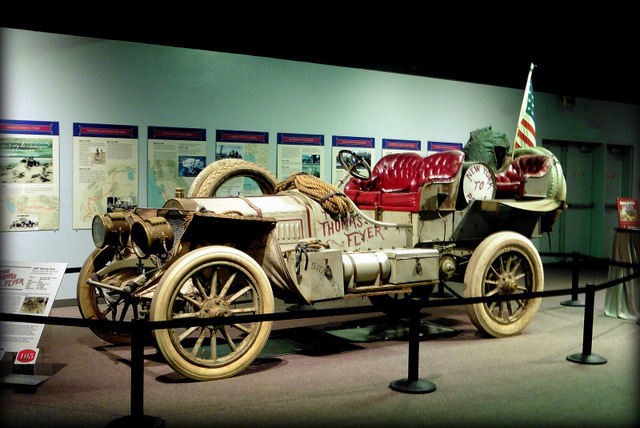 The Great Race of 1908 was the first time an automobile had crossed the United States in winter, and is the only global race of its kind on record. 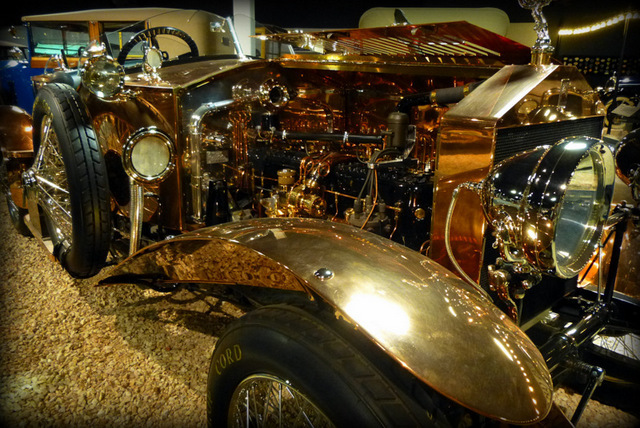 The feat has never been equaled, and it was undertaken at a time when there were few paved roads and no roads at all in many parts of the world. 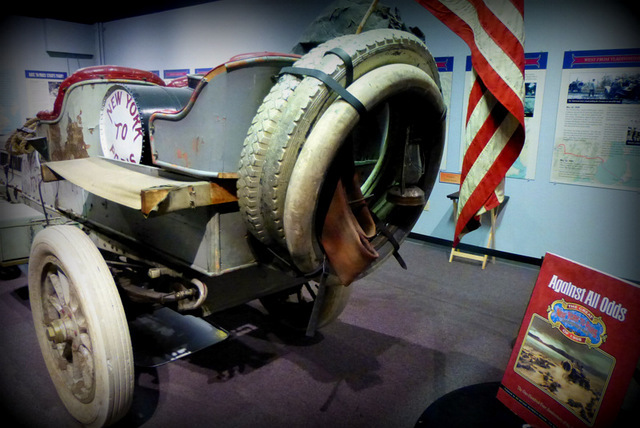 The winning driver of the Thomas Flyer was George Schuster, a mechanic with the E.R. 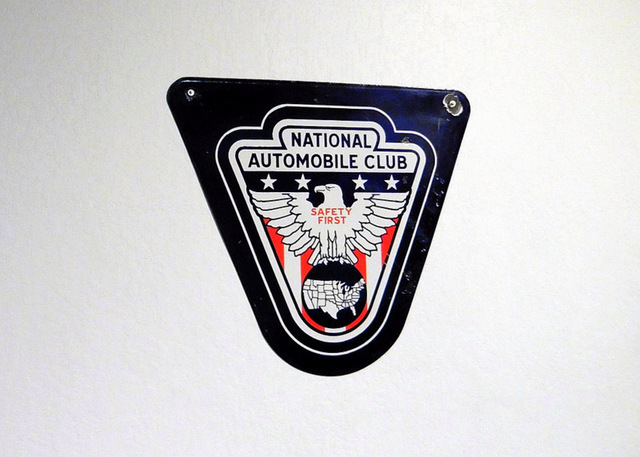 Thomas Motor Company, of Buffalo, New York. George died in 1972, but not before seeing his beloved and restored Flyer placed in the Reno museum. 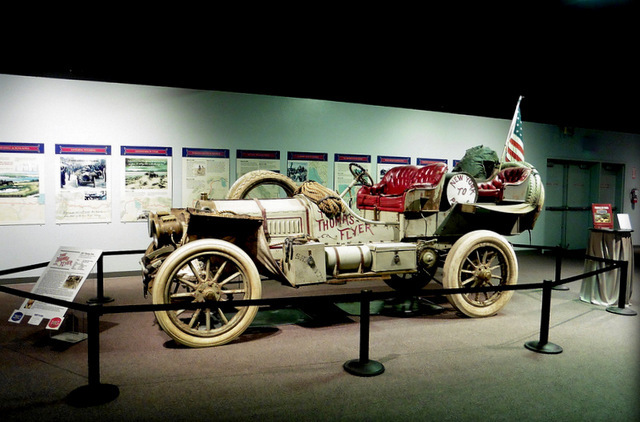 The publicity from the punishing 1908 race is given credit for the advancement of the motor car as a dependable means of transportation, and for instigating plans to pave roads and provide automobile road services in many parts of the world. 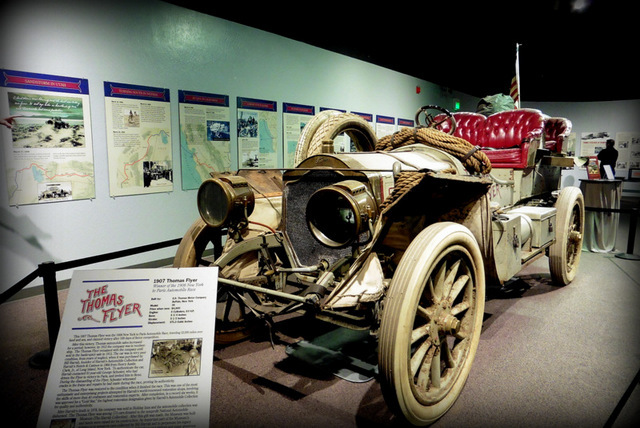 The National Automobile Museum in Reno, Nevada is home to the Thomas Flyer and more than 200 other beautifully crafted and renowned motor cars that make up the history of the automobile. 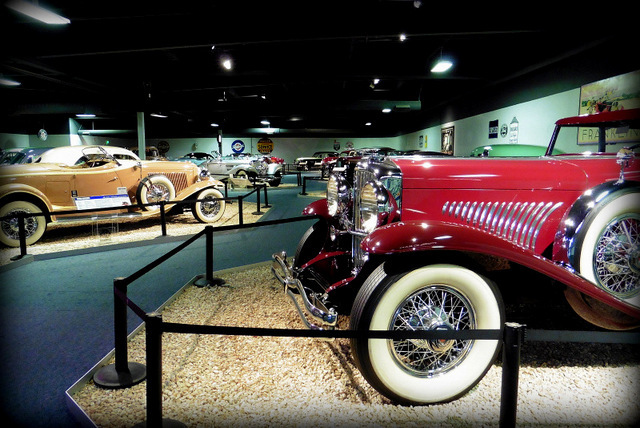 Among other famous cars to grace the museum are James Dean’s 1949 Mercury from “Rebel without a Cause”, Elvis Presley’s Cadillac Eldorado, James Garner’s Oldsmobile 442 from the Rockford Files. Frank Sinatra’s 1961 Ghia L6.4, John Wayne’s 1953 Corvette (too small for Big John), and John F Kennedy’s 1962 Lincoln Continental. 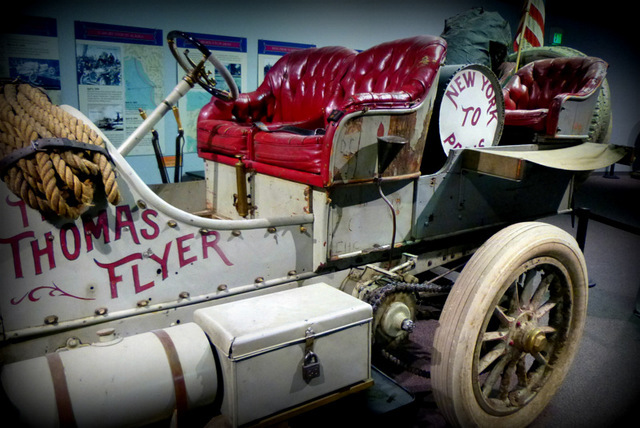 The museum also houses the trophy won by the Thomas Flyer Team in 1908. 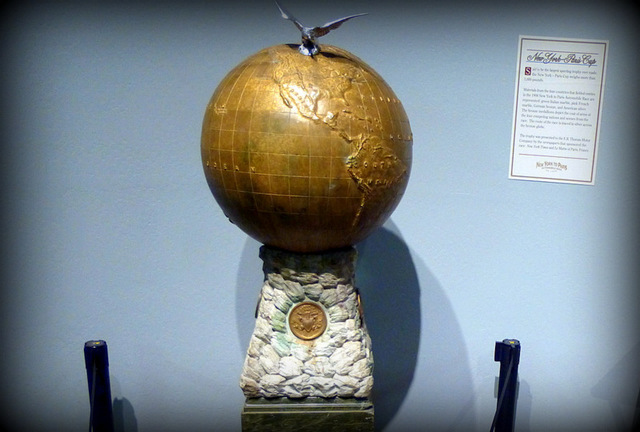 It is the world’s heaviest sports trophy and weighs over 1,600 pounds. 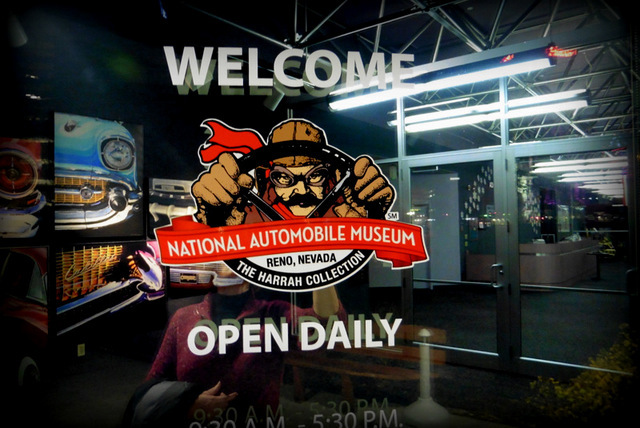 The museum is located at the corner of Lake and Mill Streets in downtown Reno. Don’t miss it. 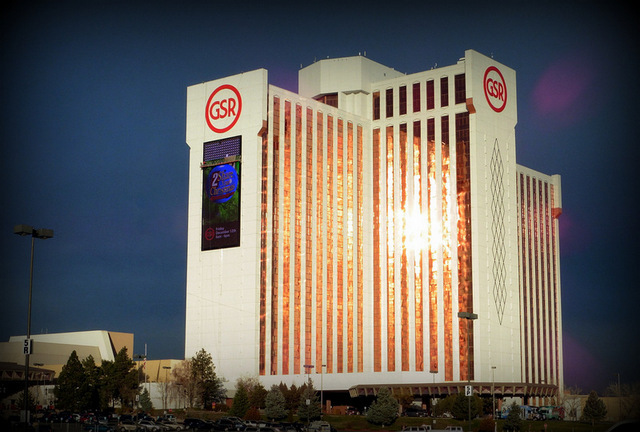 While in Reno, we stayed at the GSR, Grand Sierra Resort and Casino. Great gaming, entertainment, and restaurants that we will present in upcoming articles. As we travel, we check off places that are on our Bucket List. Being film buffs, many of the things on our list are related to movies we have seen over the years. We recently checked off another “to do” from our list by skippering the authentic “African Queen,” the boat made famous by Humphrey Bogart and Katherine Hepburn in the 1951 Academy Award Winning film of the same name. We happened upon the African Queen quite by accident. We were in the Keys doing research for articles about luxury resorts and “old Florida” accommodations. A list of those articles follows this story. The Florida Keys are fun strips of coral sand islands connected by 42 bridges and the Overseas Highway, US 1. They stretch for about 120 miles south into the Atlantic Ocean below Miami, Florida. The Keys are ripe with salty myths and legends, and stories of true adventures like the finding of millions of dollars in sunken treasure on the Atocha. There are also unusual stories like those about Ernest Hemingway’s house of many cats in Key West. 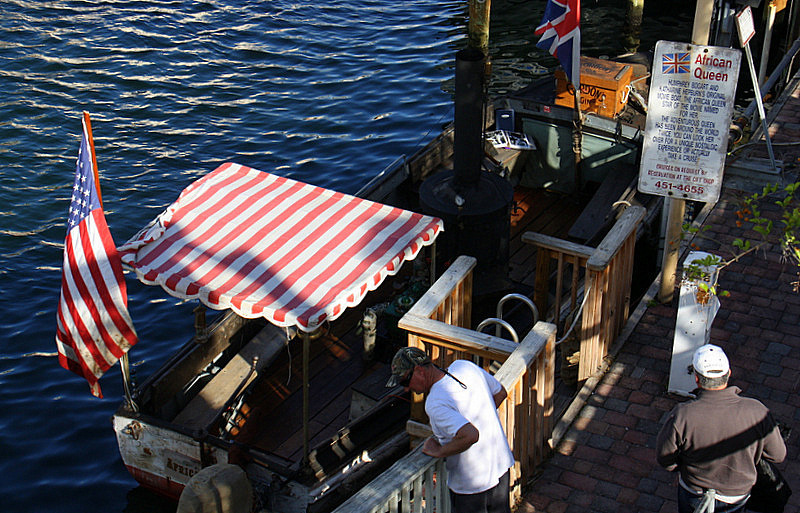 All the excitement in the Keys make them an apropos home for the iconic African Queen. The Queen had an interesting past long before she came to the attention of John Houston who immediately wanted her for the movie he was directing in the Belgium Congo. She was perfect for the role of the African Queen – just beat up enough to look the part, and just seaworthy enough – to run long enough – to finish the movie. The vessel was built in 1912 in Lytham, England, where she was named the Livingstone. 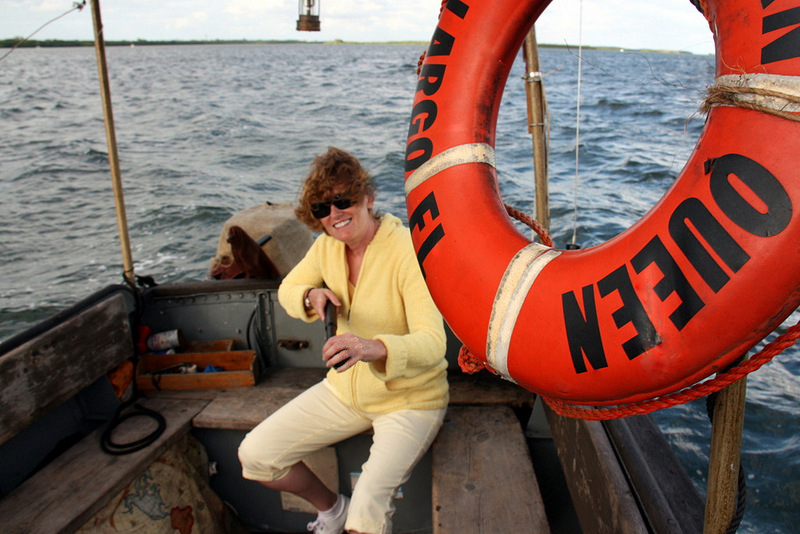 Her first job was to carry cargo, hunters, and missionaries on Lake Albert and the Victoria Nile in east Africa. Houston found her in 1951. She was sufficiently worn by then, and perfect for the material role of the African Queen in his epic adventure. 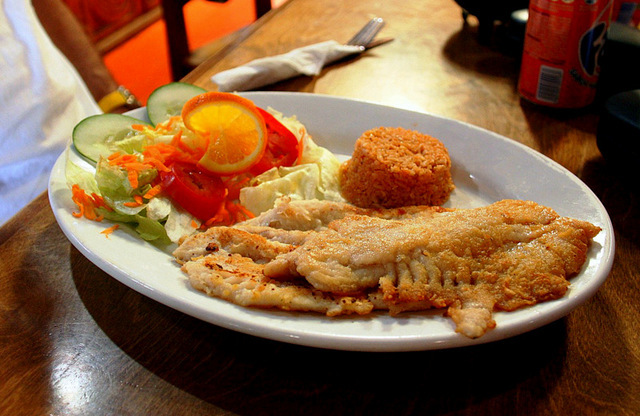 In 1968 the boat was moved from Africa to the United States by a San Francisco restaurateur. 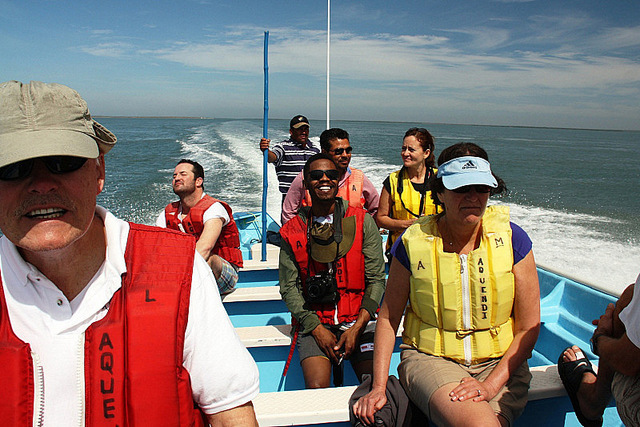 He planned to charter the famous boat to tourists. The Queen changed hands again in 1970 when she was purchased for the price of her boatyard bill, and moved to Oregon where she was successfully chartered a few months out of the year. 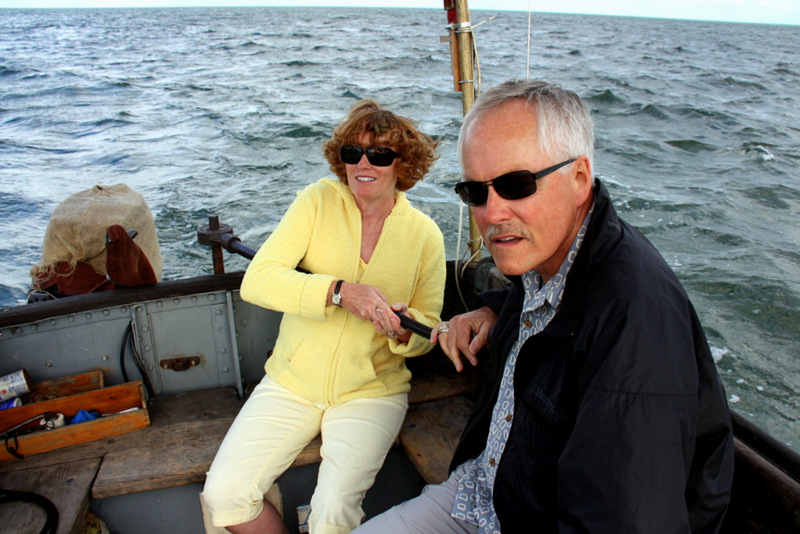 Finally, on to Florida for an attempt at year-round chartering – that failed. In 1982 she was born again as a tourist attraction at the Holiday Inn in Key Largo. About that time, she also made her re-entry onto the global stage and toured around the world in ports such as Sydney, New York, and London. The news of her re-emerging travel and popularity caught the eye of Kate Hepburn who was said to be “delighted” that the old Queen had been saved, yet again. 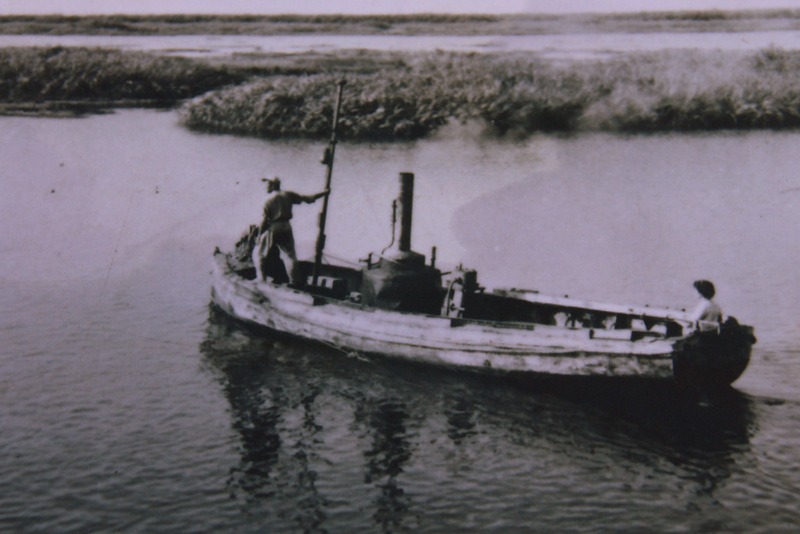 Finally, in 2012, on her centennial, the most recent revival of the African Queen was completed by a new operator Lance Holmquist. 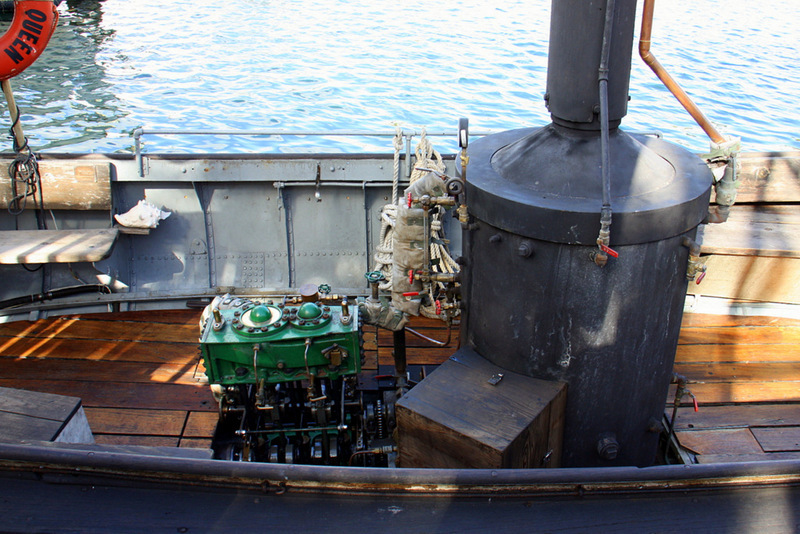 She needed a new boiler, her steel hull required fortification, and her engine needed rebuilding. The work was a labor of love for Lance, and the Queen now delights vintage boat and film buffs once again. 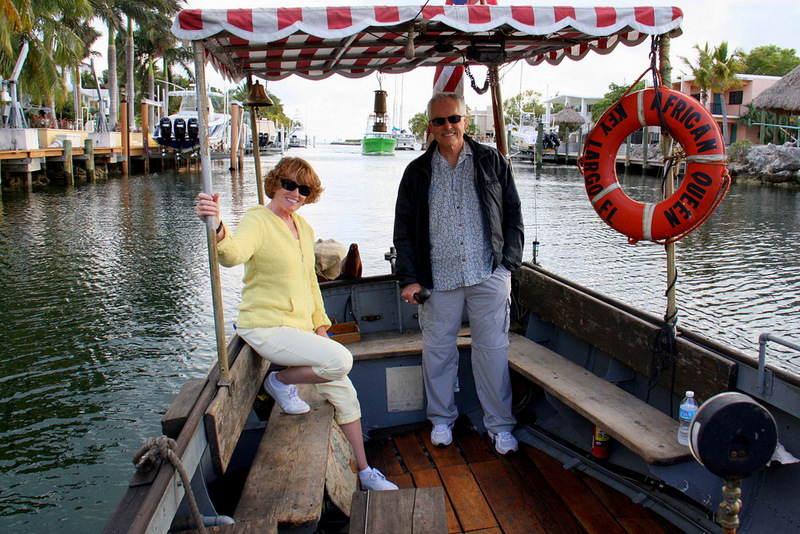 We took the helm like Bogart and Hepburn and chugged the little 30-foot boat through the canals of Key Largo and out into the open ocean. This was high-exhilaration for two old movie buffs. 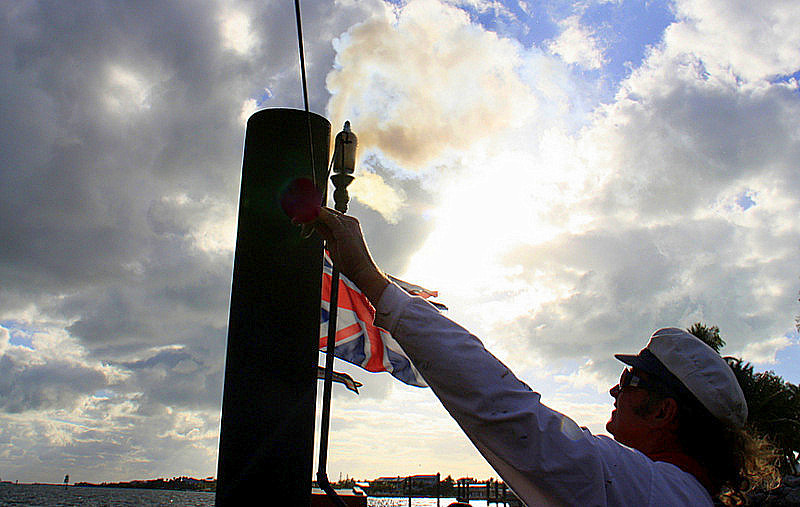 As we approached the Queen’s home-dock near the Holiday Inn, Lance gave us the final thrill when he let loose the Queen’s shrill steam whistle. There is no mistaking that sound heard so many times in many places over the last century. Check off one more from the Bucket List! 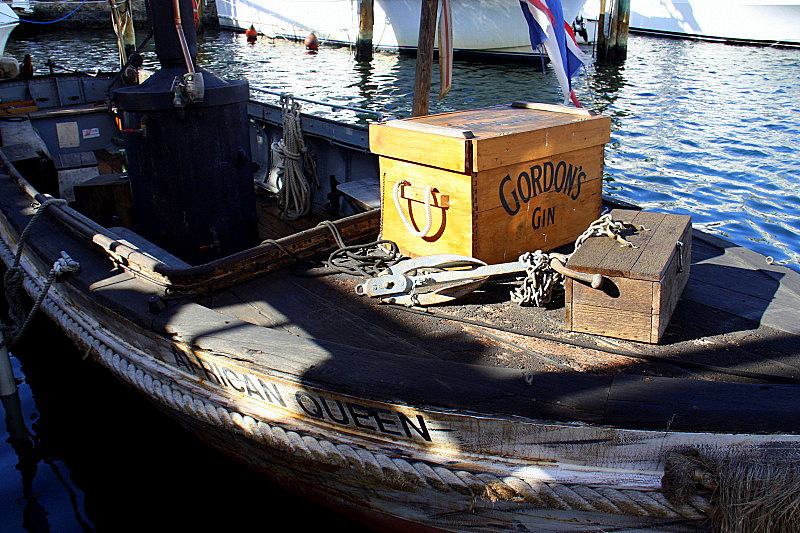 Note: The African Queen is a true relic, and she wouldn’t be “authentic” if she was spit-polished. So, don’t wear your Sunday best if you plan to board her. The Keys are full of luxurious and unique places to stay. Here are three stories to read about some we have visited.